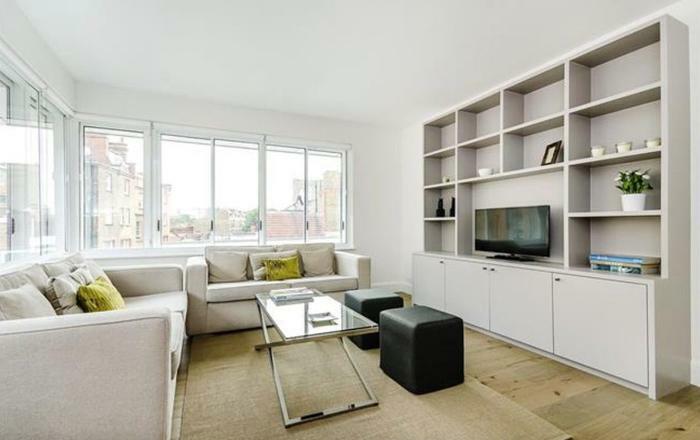 Bermondsey Enid SE16 is a contemporary short let London flat, well located in the peaceful Bermondsey Spa neighbourhood. This is an award winning building featuring a central atrium and courtyard with mature trees and natural ventilation. 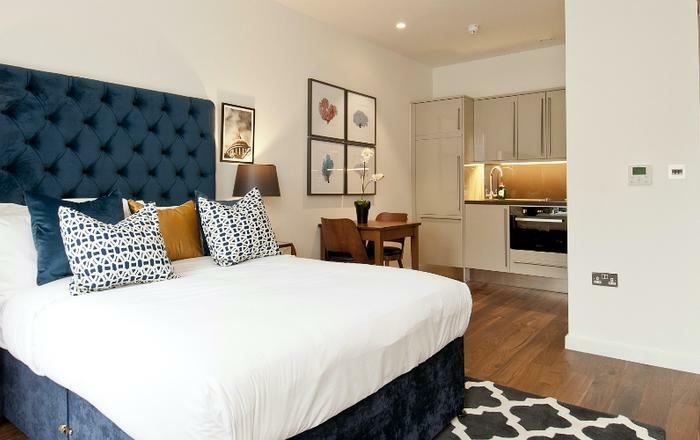 You are a mere eight minute walk to Bermondsey tube station or the river Thames where you can view the most famous bridge in the world - Tower Bridge. Every effort has been made to provide you with an easy and comfortable lifestyle. Floor to ceiling double glazed sliding doors allow access to a private balcony with views of iconic City buildings such as the Walkie Talkie and Gherkin. The room is comfortably furnished with an extra large sofa plus a dining table and chairs for four people. The modern open plan kitchen is fully equipped including a dishwasher, microwave, fridge/freezer and ceramic hob. There are two double bedrooms, both of which offer good storage facilities. Fresh linen, newly laundered and pressed, is provided for each stay. There are two smart white bathrooms. The family bathroom offers a tub with a shower over and a wc. The ensuite has a large walk in shower, basin and wc. Starter toiletries and fluffy towels are provided as standard. 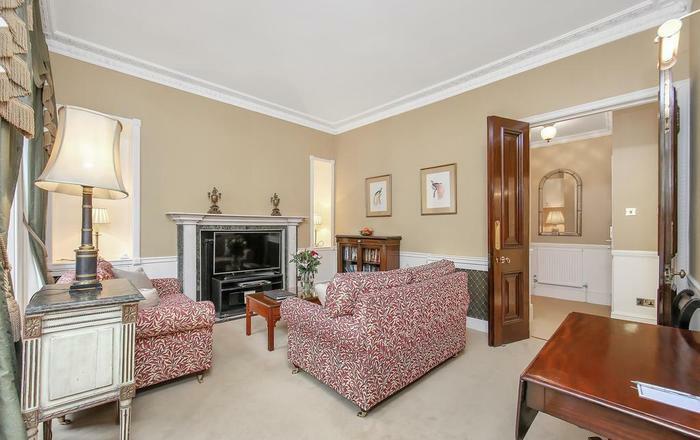 Excellent transport links to the City and central London. London Bridge mainline station and underground - Jubilee line - Zone 1 - 20 minute walk. Bermondsey Underground - Jubilee line - Zone 2 - 8 minute walk. A multitude of buses to take you in each direction and don’t forget the Thames Clipper River Boat for an ultra calm commute. 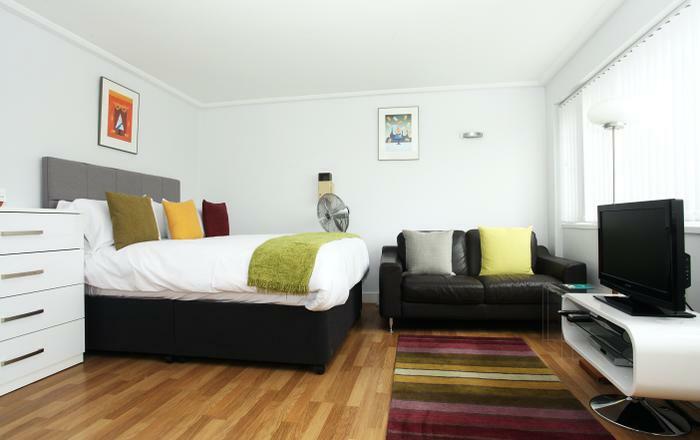 Bermondsey Enid SE16 is fully furnished and equipped with linen, towels, kitchenware and WiFi. This is a two bedroom/two bathroom flat on the 6th floor of a building with a lift. 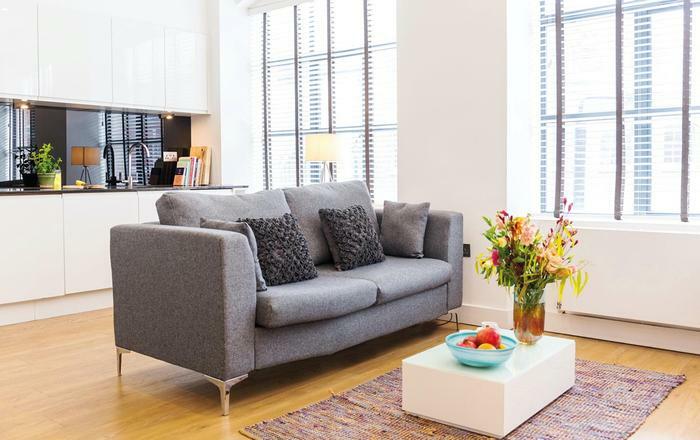 This short let London home sleeps up to four people in two double beds. The flat faces the railway line so you will hear trains going by. 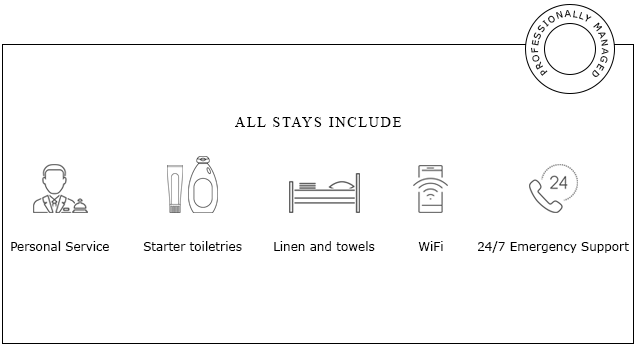 Weekly housekeeping with linen change is included in your stay. You are a short walk to the river Thames, the Maltby Street Food market held on a Saturday, Bermondsey Square antique market, Bermondsey Spa Gardens, and vibrant Bermondsey Street which offers a diverse selection of boutiques, galleries, pubs and eateries. A few more minutes walking and you can be at Tower Bridge, London Bridge and the famous Borough Market. Pootle over either bridge and you are in the City of London. If you book in advance you may visit the Sky Garden at the top of the Walkie Talkie which offers 360 degree views of London from the 38th floor - free of charge. Early arrival and late departure can be arranged, subject to availability, and may incur an extra charge. You may cancel your booking forty-two nights or more before the start and receive a 75% refund of the total rate. If the booking is cancelled less than forty-two nights before the start of the stay no refund will be made. We urge you to have travel insurance in place. A security deposit to cover 'additional charges' including breakages, extra cleaning or further accommodation charges incurred during your stay. The damage deposit is refundable within two weeks after departure. - Only people listed on the booking form are permitted to stay at the property. - The lead guest must be 21 years or older.